During 2017 Homecoming weekend, we honored EOU Alumni for their incredible achievements and dedication to Eastern Oregon University: Distinguished Alumnus Jesse Jones, ’05, Dixie Lund Service Award Winner: Michael Jaeger, Ph.D., Honorary Alumnus: David Nelson, and Homecoming Parade Grand Marshals: Mary Jo and Terry Lemon. We thank these individuals, as well as Past Recipients, for all of their time and devotion to higher education and Eastern Oregon University. Nominations open for 2018 awards! Help us honor outstanding EOU alumni and friends by nominating someone today! 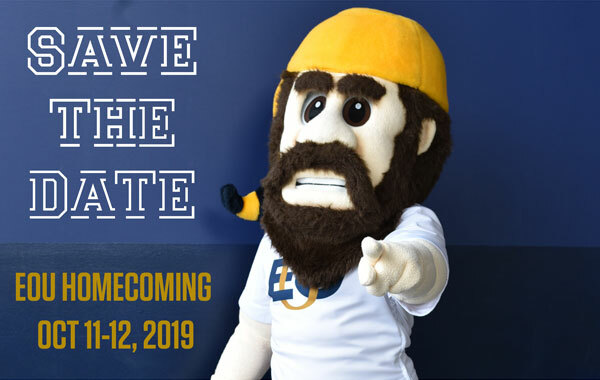 Award recipients will be recognized at the 2018 Alumni Honors Ceremony during Homecoming. Any person taking classes from EOU for more than two terms is eligible to receive awards. Nominating parties do not have to be connected to EOU. The selection of recipients will be decided by the Alumni Association Board of Directors and recipients will be notified in June. Lodging for award winners attending the Honors Ceremony will be provided courtesy of the Alumni Association. This award is the highest honor and recognition conferred by the EOU Alumni Association and is a once-in-a-lifetime recognition. The Distinguished Alumni Award is given to former EOU students who, through their professional and personal endeavors, have made significant contributions in service to their alma mater, community, state, and/or nation that have brought honor to themselves and acclaim to EOU. 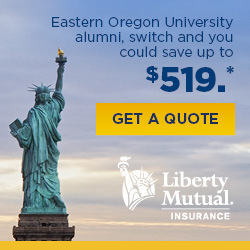 The Honorary Alumni Award is the highest honor conferred on an individual who has not been a student of EOU, but through exemplary service or involvement has made significant contributions to the advancement, reputation, and/or well being of the university and its community. This award may also be conferred posthumously for students of the university who have been recommended by the executive administration of EOU and endorsed by the EOU Alumni Association Board of Directors. Dixie Lund is a 1973 graduate of EOU and served the university as a member of the teaching faculty, Dean of Distance Education and twice as Interim President of the university. Her extraordinary and meritorious service exemplifies the highest traditions of service, support, and devotion to EOU. This award is given in recognition of meritorious service to EOU in support of the goals, traditions, and mission of the university and/or Alumni Association.